This was used by Sandra Cabot as a liver cleansing diet (although originally put together by a couple of other Australians, in the 80’s). Ok, so that’s great. Soak, grind & add that to my diet, and we’re away. Right? Wrong. Turns out, I didn’t have any linseed hanging around the place, just some linseed meal – I figure that’s gotta be the same stuff, just ground up, so where’s the problem? One thing that juice fast taught me was to listen very, very closely to my body when I’m feeding it things, and I noticed that after having the LSA mix, something wasn’t quite right. Basically ok, just a little off. Linseed is another term for flaxseed. 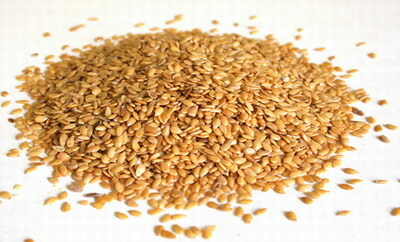 Flaxseed is well known as a source of omega-3’s, etc etc. So what’s the problem? Turns out linseed meal is a by-product of extracting the oil from flax/linseeds. Ie, it’s what’s left over after you take the oil away. Now, linseed meal is fed to horses, and is still high in protein, so what gives? Then I discovered this [pdf]. “The toxic action of linseed meal on trout”. Turns out some scientists discovered that when you feed linseed meal (ie, the by-product, not the entire seed) to trout, it turns them black. And blind. And dead. It’s a tricky world out there. Stay sharp kids!